Benoit Cancoin’s first solo release features four improvisations for four people—one of whom was still in utero–performed in four different locations. The improvisations were played as personal concerts for the people involved, in their homes or workshops. Given the closeness of the relationships and the intimacy of the settings, they represent extraordinary collaborations between performer and audience. All four pieces feature a gestural approach to free improvisation that focuses on the peculiarities of the instrument—its pattern of overtones, responses to changes in bow pressure and articulation, the way different regions of the fingerboard affect the brightness and darkness of tone when fingered, tapped, or bowed a certain way. Throughout Cancoin creates a complex soundworld of drones, multiphonics, glissandi mimicking the Doppler Effect, creaks, slaps, scrapes and more. In the end, there is a kind of portraiture at work beyond that of the person and the space inspiring the playing. In essence Cancoin is painting a sound portrait of the instrument, bringing out its manifold qualities and quirks of personality. 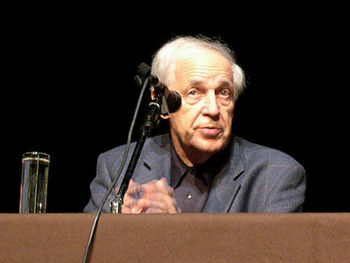 During the composer and conductor Pierre Boulez’s tenure as music director of the New York Philharmonic in the 1970s, he challenged the repertorial status quo and reached out to new audiences with events like the Rug Concerts, where patrons lounged on cushions while listening to contemporary music. A concert exploring his legacy seemed an apt inclusion on the NY Phil Biennial lineup, an 11-day festival of new music taking place around the city. Pablo Heras-Casado conducted the Orchestra of St. Luke’s in works by Mr. Boulez and those he had influenced during a sparsely attended concert he hosted with Ara Guzelimian on Saturday at the Rose Theater. Universe Zero – New Studio Album from Japan! Jemeel Moondoc/Matthew Shipp/Roy Campbell/Steve Swell! Jamie Saft/Steve Swallow/Bobby Previte! Stephen Gauci/Kirk Knuffke/Ken Filiano! Gunter Hampel Festspiele Berlin 2014! Paul Flaherty & Randall Colbourne! Arto Lindsay – Live 2011-12! Bogan Ghost: Liz Allbee & Anthea Caddy! Rob Jacobs & Wei Zhongle! Nate Wooley Solo! Hi Sheriffs of Blue! Orchid Spangiafora! Oumar Konate! The Vampires! Recent releases from Italy’s Auand Records reviewed by BLG! 6pm: GIANNI MIMMO & ALISON BLUNT – Soprano Sax & Violin! Sunday, June 8th: 6pm: MICHAEL LYTLE/ANDERS NILSSON/LUKAS LIGETI – Bass Clarinet/Guitar/Drums! 7pm: MORTEN POULSON & KIRSTEN CAREY – Drums & Guitar! 6pm: OMAR TAMEZ & ANGELICA SANCHEZ – Guitar & Synth – CD Release Set! 7pm: GENE MOORE/GENE JANAS/DAVE TAMURA/MATT LUCZAK! 6pm: MACROSCOPIA Returns! Featuring: KEN SILVERMAN/DANIEL CARTER/CLAIRE De BRUNNER/TOM ZLABINGER – Guitar/Reeds & Brass/Bassoon/Contrabass! 7pm: BEN GOLDBERG/KIRK KNUFFKE/BILLY MINTZ – Clarinet/Cornet/Drums!